Stallard, Drews and Nicolini return to Clifton Opera House on Saturday, March 5th at 7:30pm. Veteran singer-songwriters with many years of musical performing experience, Deb Stallard, Patrick Drews and Bruce Niccolini play a variety of musical styles – a little something for everyone, always tailored to their audience. 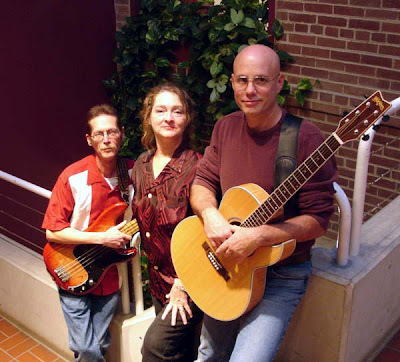 With roots in Springfield and Yellow Springs, the trio’s selection of music is based on the songs that both they and their listeners truly enjoy… the songs that have withstood the test of time! Check out their website at www.debandpatrick.com. The Clifton Opera House is located at 5 So Clay Street, Clifton. The box office opens at 6:30pm, suggested door donation $7.00 www.villageofclifton.com.